K & K Landscape Supplies was established in the year 2000 and has quickly become the area’s leading supplier of outdoor materials and services. Owner, Greg “Whitey” Foss, has over 25 years of experience in the industry. He started his first landscaping business at the age of 15 and grew that original company into what K & K is today. Over the years, K & K Landscape Supplies has built a reputation for providing top quality materials at reasonable prices combined with the best customer service available in the industry. It’s a reputation we are proud of and it’s based on simple principles: reliability, consistency and no nonsense. For garden compost, bark mulch delivery and more in the Deerfield, NH and Epsom, NH area, call us today! Offering Bark Mulch Delivery Service! At K & K you won’t get “scientific” explanations of why OUR rocks are better than other rocks or convoluted descriptions of what is essentially dirt and ground up vegetation. What you will get is a pro-customer approach which gives you the confidence that you will get quality, consistent products in every measure, and load after load with no surprises. When you call us you will speak directly with Whitey 99.9% of the time. There are no automated menus or layers of infrastructure to negotiate in order to speak with a decision maker, solve a problem, or simply get some expert advice. The same applies for all of our services as well. From procuring specialty materials to site work and snow management, our number one priority is 100% customer satisfaction. We supply top-quality bark mulch and other landscaping supplies at highly competitive prices. Whether it's a landscaping project for your home or business, we can provide you with the right amount of materials that you may need. 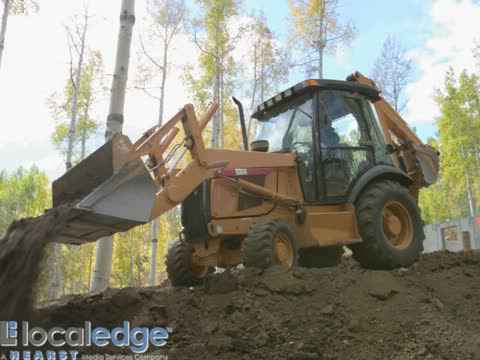 We not only carry landscaping materials but we can also have them delivered in no time. We serve customers from Concord, NH and the surrounding areas. If you need quality bark mulch or other landscaping supplies, get in touch with us today. Conveniently located on Route 4 in Epsom, NH just east of the Epsom traffic circle, we are dedicated to providing essential outdoor materials and services to Pittsfield, NH, Northwood, NH and the greater Concord, NH area. By the term “essential” we mean that of all the available products out there these days, about 20% of them are used 80% of the time. We don’t stock the less popular products (although we can procure them for you if that’s what you need) and that allows us to reduce our overhead which translates into savings for our customers. 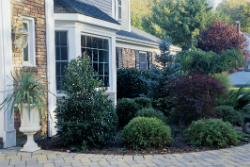 If you are thinking about ways to enhance the exterior of your home, then you should consider using bark mulch to improve the appearance of your landscape. Once you have cut the lawn, trimmed the hedges and planted the flowers, do not forget to complete your project by covering exposed soil with bark mulch. It is one of the most inexpensive ways to improve a landscape quickly. Get in touch with us for reliable delivery in the Concord, NH area. We carry 4 different types of bark mulch and our mulch is 100% bark. 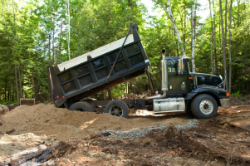 We offer 3 different soil mixtures, over 15 choices of aggregates in varying sizes and colors, winter traction materials (K & K is salt reduction certified), and green or seasoned firewood by the cord. Whatever your outdoor need is, K & K Landscape Supplies has the equipment and the know-how to complete your project quickly and cost efficiently. Please be sure to click on the link at the top of this page to visit our website and learn more about our products and services. You can also call anytime, email us simply by clicking on the email address above, or fill out the contact form in the upper right of this page. K & K Landscape Supplies provides landscape supplies, garden compost, bark mulch, Bark Mulch Delivery aggregates, Bark Mulch Deerfield, Firewood for sale and a variety of outdoor services to Concord, NH, Pittsfield, NH, Epsom, NH, Deerfield, NH, Northwood, NH, Central NH, and the surrounding southeastern NH region. Bark mulch soils, Aggregates, Winter traction materials, Firewood, Residential sanding/salting, Commercial snow management, Stump disposal, Salt reduction certified, Grading York ranking, Excavating Rototilling, Greenscape installation, Hardscape construction, Drainage systems, Driveway reconstruction, Material delivery.